We LOVE this new generation of John Packer tuba, euphonium and horn cases. Candidly, we don't know for sure if all models are going to eventually be placed in these cases, and - at this time - there is still some remaining stock with the (very good) previous generation of case, but these are GREAT ! This particular case is paired with the 3-valve top-action 3/4 size BBb tuba, model JP078. the Packer flugel we bought has a great case. It's lightweight like a bonna, but still strong. The case for the euphonium is HEAVY. I understand packer does make a euphonium case similar to the Flugel case. Is it available by itself? so they are available for purchase separately? I have the 3rd one. It's very well built, but it's also very heavy. I have the euphonium case that is second down in Bloke's post. The one that's labeled JPro. It's pretty hefty also. 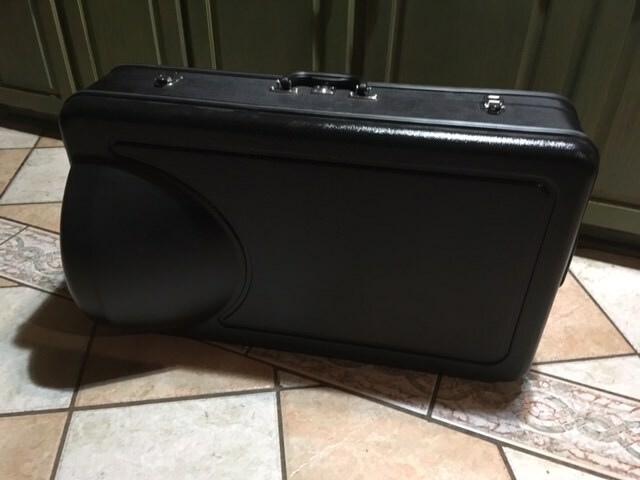 With my personal euphonium, I keep it in a very strong/not-particularly-lightweight hard case. Any euphonium in most any case is going to weigh less than most any tuba in most any bag. Mark Finley wrote: so they are available for purchase separately? I have the 3rd one. It's very well built, but it's also very heavy. Realize, though, that is isn't particularly easy to rip nor tear the case that you have, and there's no zipper to fail.